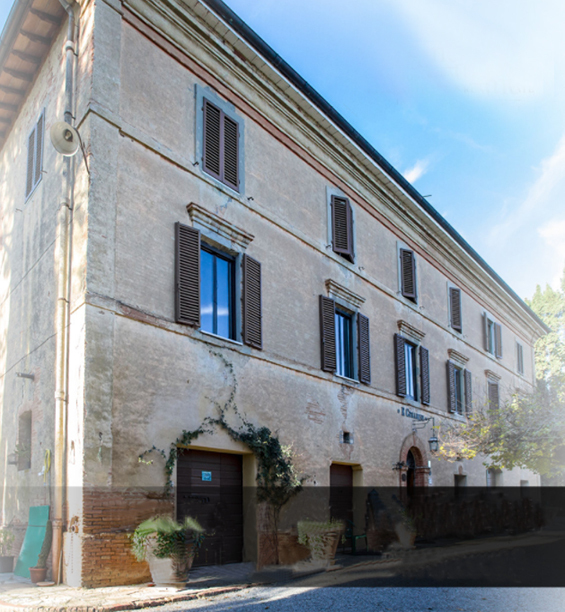 The villa was built around 1500 and enlarged and modified in 1700, it is located in Umbria very close to Tuscany, near a small town with a magnificent view of the countryside and Lake Trasimeno. The villa rises on 3 floors above ground and it has a rectangular shape with a top tower. The structure is brick, mostly plastered on the main facade.